Shaley Brow is in my opinion a Jekyll and Hyde kind of hill, on paper it doesn't look all that bad, yes it kicks up to about 14% but take it at a steady pace with a low gear and the hill can be conquered without too much of a problem. However attack it at any sort of pace, be it with a competitive group, going after a strava KOM or like in 2013 for HMCC's annual hill climb competition, Shaley Brow has a habit of ripping your legs off, laughing at you as you struggle on and finally giving you an all mighty kick when you are down. If you want an idea on how feared this local climb is I have been riding with the club for 3 years and in that time have only ridden it 4 times. If a group gets close a hush will come over the riders waiting to see if the ride leader is feeling sadistic and the chat only gets going when they realise they are turning away, which luckily they often do. The base of Shaley can be found just past the village of Kings Moss. To get there leave Ormskirk towards Bickerstaffe, on to Rainford from there take Higher Lane, left down Red Cat Lane then follow the road to the left, over a small bridge. 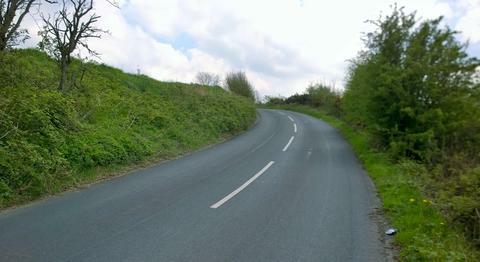 The climb begins as you pass a small road on your left which leads to Kings Moss. Shaley Brow is almost exactly one mile averaging 6.7% which perhaps doesn't sound too tough but the first quarter of the climb rarely gets above 4%, so it gets tougher. The start of Shaley starts benignly a straight with a very slight gradient and a tree line on your right. If the sun is out and the wind is gentle it feels like an idyllic spin out. 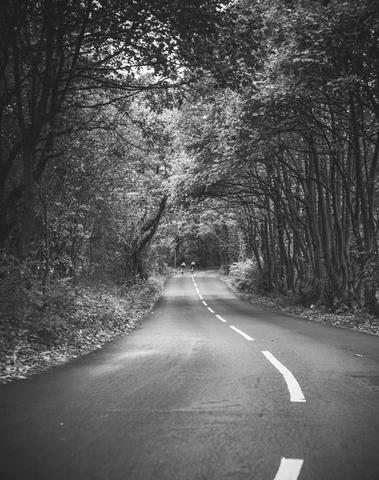 However the road soon bends to the right and the climb begins as the road rises up, the trees start to get thicker here blocking the light and giving a sense of foreboding. 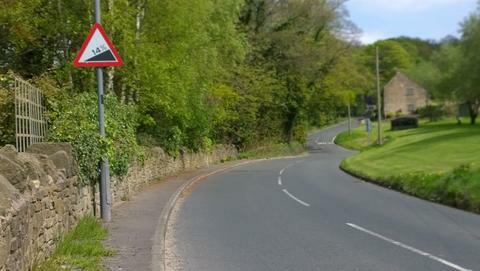 Dropping a down a cog or two here is recommended and finding a good rhythm you won't beat the climb here but as the worst is to come saving your legs is advisable. The climb snakes left and then bends right again, the road pitches up again and then on your left you will pass a house and alongside a 14% sign. Again the road rises, not quite into double figures but it is getting there. Up ahead you will see a building, the local golf club, the road again takes a dive to the left, the tree cover seems to form a tunnel and the gradient ahead heads upwards, the next 200 metres stay at a constant 14%. Any cars on the road will be dropping down a gear and you will need to or get out of the saddle take a huge draw of air and power your way to the sharp right ahead. Back in 2013 in the hill climb it was here that riders were found out, legs and lungs were burning and vital seconds were lost. However for some their ordeal wasn't just the clock and the wicked gradient, some had a semi naked hooligan to contend with!! Luckily if you put this climb on your next route you won't have such a horrific sight and can concentrate on cresting Shaley. 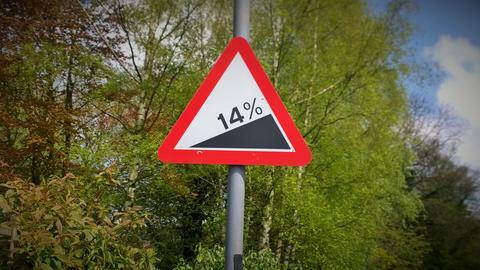 The bad news is the sharp right you can see isn't the end of the climb, but the good news is that it does provide a few metres of rest, if you have anything left in your legs then power over the 3%ish gradient and ready yourself for the last push. The road bends around to the left and your final challenge lies ahead, a 30 metre kick at around 9%. At the top you will find a few communication masts (always a sign that you have climbed a significant lump) stop get your breath back and look around, on a good day you can see across Merseyside over to the hills of North Wales. Turn around and descend Shaley, for me one of our best local descents, a wide road with a good surface and not too technical so you can safely let the bike pick up speed. There is a theme to these sections - yep Mr Martyn Gordon holds the "club" record for Shaley Brow. However in the 2013 hill climb Tom Hanlon, sprinted and gurned his way to a well earned victory and despite the unexpected distraction of a fan (see above) Wilko completes the podium for HMCC. For times to beat click here.